"The UK's foremost circus competition returns to the purple cow. In a week of heats, 20 of the UK's hottest circus acts perform for your applause, adoration and votes to win a place in the grand final. 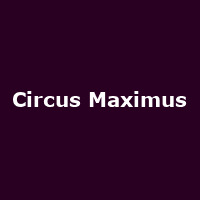 On Saturday night it's the live grand final, in which the winners from each heat compete for the title of Circus Maximus 2014, a £5,000 cash prize and the chance to create a new show with Underbelly Productions and The National Centre For Circus Arts. Presided over by our resident MC, and featuring special guest performers throughout the week, Circus Maximus is an exhilarating and exciting night of dazzling hula-hoopers, daring aerialists and dynamic acrobats. See them all and vote for your favorite in a week of unbridled circus entertainment like no other."